Posted in Software, Updates by RaMMicHaeL at October 7th, 2014. Is it possible to disable tray icon? Yes, there’s an option for it. just noticed that window text.. Instead of spelling Congratulation, you should use Congratulations. Thanks for letting me know! It will be fixed in the next version. Is there any unchecky_setup option to disable this? 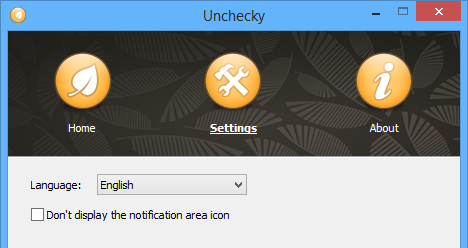 Unchecky v0.3.2beta – While upgrading to Firefox 33.0.0 I received a notice “Congratulations, Unchecky has just prevented the installation of a potentially unwanted program” but it doesn’t say what in particular was blocked. Is there any more info available? Unfortunately, not. Typically, it’s about a checkbox or a radio button. If you would make a screenshot, I could perhaps guess what was done. Possibly Unchecky changed from “recommended installation” to “custom installation”. In general, while Firefox doesn’t provide any PUPs, Unchecky doesn’t have a way to check this. 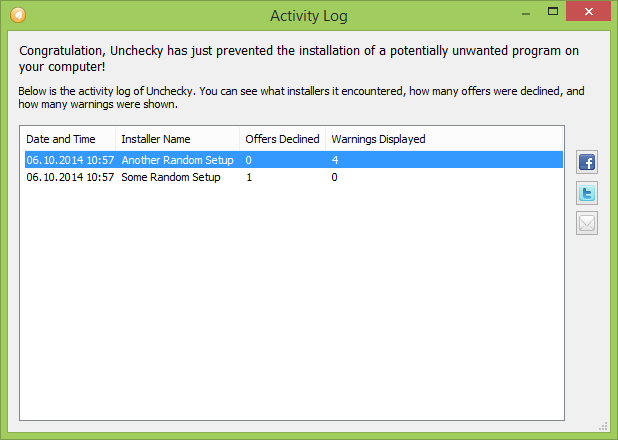 When having the choice of a “standard” and a “custom” installation, Unchecky always chooses the custom type to be able to fully control all the installer’s options. Reporting a detection issue: Free File Sync has binkiland bundled, and it doesnt detect the unchecks!